If you’d like more information on staying at 99 Somerset, please complete the following short form and we’ll respond shortly. How did you hear about 99 Somerset Rd? 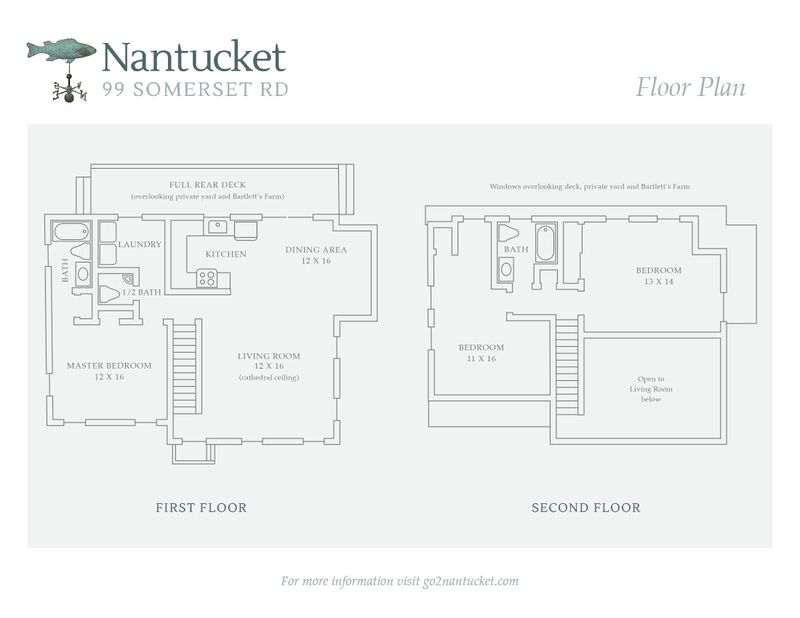 Take a look at the first and second floor plan for this fine Nantucket vacation home at 99 Somerset Rd. You’ll find a relaxing and cozy space to spend your vacation.